HAMILTON HEIGHTS, NY -- Police revealed new details Wednesday in what they're calling the "premeditated" double murder of a former New York City teacher and her son in their Manhattan apartment. 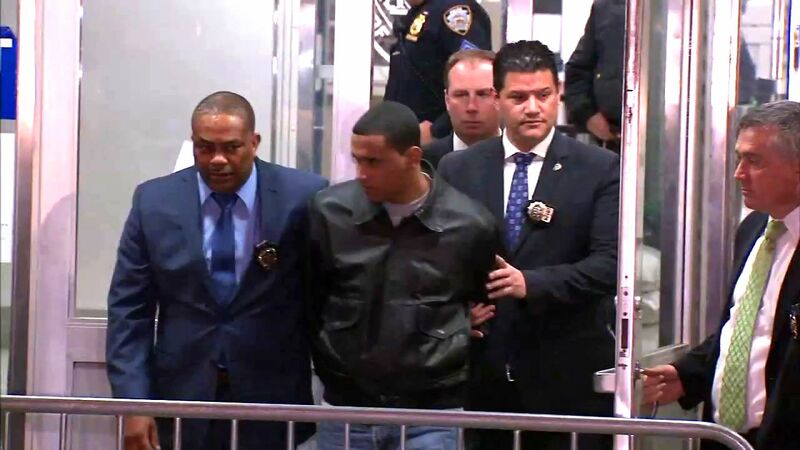 NYPD Chief of Detectives Robert Boyce said 23-year-old Isaac Duran Infante killed 32-year-old Felicia Barahona and their 4-year-old son, Miguel, last Thursday. Miguel was conceived while Infante -- then 17 years old -- was Barahona's student four years ago. The two had a relationship that led to Barahona's termination as a teacher. 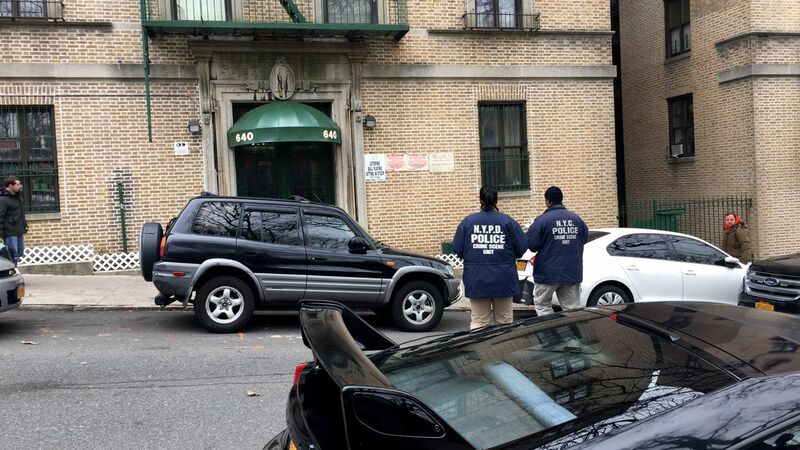 Their bodies weren't found until Monday -- four days later -- when the superintendent in Barahona's Hamilton Heights apartment noticed garbage sitting out for an extended period of time, as well as a suspicious odor. He called police, who found the two dead inside -- Miguel was in the bathtub, and his mother in the living room with an electrical cord around her neck. The medical examiner later determined both Felicia and Miguel Barahona were strangled to death. According to Boyce, the child was placed in the tub after he was killed. The police investigation led detectives to Infante, who has been living in Pennsylvania with a new girlfriend. He was arrested and charged with two counts each of first- and second-degree murder Tuesday. Thursday, Dec. 22 | 9:13 p.m.
Surveillance video shows Infante entering Barahona's apartment building on West 153rd Street in Hamilton Heights. Friday, Dec. 23 | 12:27 a.m.
Surveillance video shows Infante leaving Barahona's apartment building. During the time he was in the apartment, prosecutors said in a court filing that "the defendant caused the deaths of both Miguel Barahona and Felicia Barahona by placing a cord around each of their necks and squeezing said cords until both Miguel Barahona and Felicia Barahona were no longer breathing." Infante had bi-weekly visitation rights with his son, and family members said he was supposed to have a visit with his son last weekend but had canceled at the last minute. During questioning, law enforcement sources said Infante confessed, and initially blamed the devil for his gruesome actions. But he also reportedly told them he'd been angry about how Barahona had been parenting the child, particularly the clothes the boy was wearing. Boyce revealed Wednesday that Barahona had been dressing their son in girl's clothing to antagonize Infante, and that apparently made him very angry. Surveillance video also showed Infante pacing in the hallway in Barahona's apartment building, police said. In an exclusive interview with Eyewitness News, Infante's brother-in-law said Barahona tightly controlled how much time Infante -- who had bi-weekly visitation rights -- could spend with his son.